Mont Blanc Summit (France vs. Italy): Both countries have had a long but peaceful dispute over ownership of the summit of the highest mountain in the Alps. Liancourt Rocks (Japan vs. South Korea): this group of small, craggy islets has become a tourist attraction in recent years, but its sovereignty is still being disputed. East Jerusalem (Israel vs. Palestinian Authority): Jerusalem’s Old City and some of the holiest sites of Judaism, Christianity and Islam are just a few of the attractions that lie in this hotly debated territory. Ceuta (Spain vs. Morocco): the majority of this city’s population are ethnic Spanish who are opposed to the idea of being ruled by Morocco. Tennessee River (Tennessee vs. Georgia): Georgia lawmakers claim surveyors who mapped out the border between these two states in 1818 got it wrong, and part of the Tennessee River should actually belong to Georgia. Paracel Islands (China vs. Taiwan vs. Vietnam): three countries lay claim to the Paracel Islands in the South China Sea. The islands have the potential to become a popular tourist attraction because of their large reef system, but currently tensions between the countries are too high. Southern Half of Belize (Belize vs. Guatemala): All of Belize was formerly part of Guatemala, and today the debate still continues over who is the rightful owner. 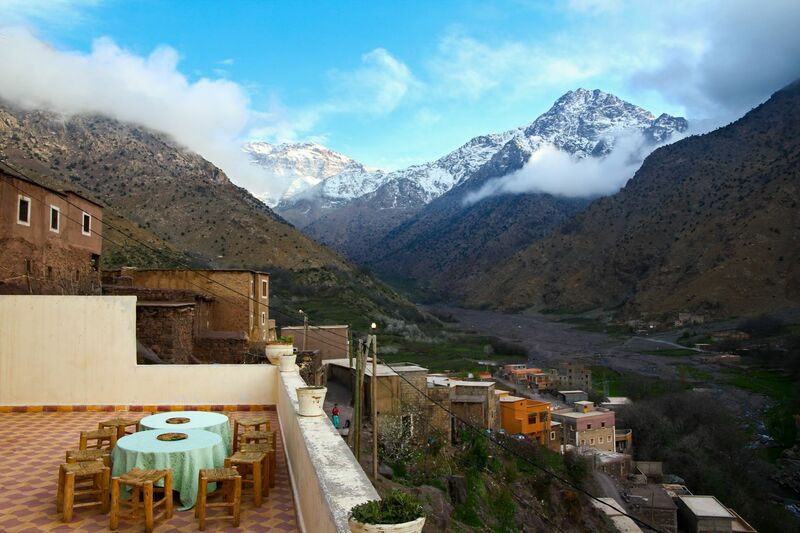 Taken from a gite in the High Atlas Mountains of Morocco — what a view! Game of Thrones fans can now visit familiar filming locations on new walking tours around Belfast, Northern Ireland and Dubrovnik, Croatia. In Belfast, a 9-hour private tour takes visitors along the Causeway Coastal Route, which should be instantly recognizable to any fans of the HBO series. Pose for photos on the Dark Hedges road before crossing the Carrick-a-Rede Rope Bridge, and see the caves where Melisandre of Asshai gave birth to a shadow baby before stopping for lunch at Ballintoy Harbour, which is known as Lordsport Harbour in the series. The tour also includes a stop at the UNESCO-listed Giant’s Causeway. Four-hour walking tours in Dubrovnik take fans to the setting of King’s Landing, the capital of the Seven Kingdoms in the series. Visitors will check out Lovrijenac Fortress and climb the city walls that were attacked by the Baratheons in the first series, from which point they can look out over Blackwater Bay. According to Viator, a guide will also take visitors to several city parks used to film countryside scenes in the series. In addition to Northern Ireland and Croatia, Game of Thrones has also filmed in Malta, Iceland and Morocco – but no tours have been announced there as of now. The fact that these tours have been developed, however, is a powerful testament to the effect popular culture has on tourism.